You’re a confident business owner ready to take on the world. And it’s our goal to ensure you’re just as confident that your data and web presence won’t disappear off the face of the earth. It often isn’t enough to just create a website. Like a new puppy, you need to care for it, too—and we know the process is intimidating. Security, backups, monitoring…where do you begin, and how do you know what to do if something’s gone wrong? To that end, Web Pages That Sell offers affordable website support packages. Let us help you update, clean up, and fix your website as you need it! You may not be sure what you need. And that’s fine. Our rate for consultations is $150/hour. Pick our brains…we’re sure to point you in the right direction! By the way: your purchased hours with us will never expire! Our general support package is all-encompassing. Bi-monthly data backups of content and images. Irrecoverable blog posts or sales pages could mean days of lost revenue, and broken or deleted photos look unprofessional. We’ll protect your content by backing it up twice a month. Monthly updates of your theme and plugins, and of WordPress itself. Pesky glitches and bugs on your site aren’t just annoying—they have nasty side-effects like missed leads and confused clients. When we update every facet of your site, however, we’re essentially putting an internal shield up. Ongoing cleanup of plugin/themes no longer in use. When it comes to data, saving space may mean saving money for you! Ongoing monitoring. If something goes wrong with your website, we’ll be the first to know, keeping your site’s downtime at a minimum. Ongoing clean up of any malware that gets through. We’ll scan your site every 12 hours, and if anything bad’s infected it, we’ll reverse it right away! Imagine the lost opportunities and the overall cost of reconstruction you may face without a package like this? 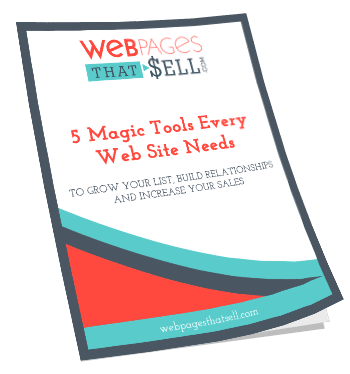 You deserve total peace-of-mind: Web Pages That Sell can provide that. Internet regulations can be overwhelming, but we’ve got your back! You may have heard these terms thrown around, but understanding what they mean—and how to implement them on your site—is a mess. Don’t worry. Web Pages That Sell can handle both of these for you! In a nutshell, Google now requires all websites to have what’s called an “SSL certificate.” Traditionally, this was only important for websites that dealt in secure information—your bank or health clinic’s online portal, for example. However, Google wants everyone to have these now, or else they’ll tell visitors your site is not secure with a big red alert. Ouch, right? Not so. We’ll get it all prepped for you so you can go back to knocking it out of the park with your biz! You’ve probably received the most communication about the GDPR, especially if you use Mailchimp or another CRM. So, here’s a very short explanation: GDPR is an acronym for “General Data Protection Regulation.” It’s a legal framework from the European Union, and it requires websites to protect the personal data of EU citizens. Whether or not you deal with EU citizens, though, it’s imperative to ensure your website falls in line with the GDPR…just in case! GDPR-compliant verbiage that you can send to any EU and UK subscribers in your list. GDPR-compliant verbiage for your opt-in forms. While this all sounds complex (and it is), trust us—you’ll need it!